The Thunderbolt™ to Gigabit Ethernet + USB 3.0 Adapter allows for reliable connection to high-speed Gigabit Ethernet network. Provides SuperSpeed USB 3.0 port. 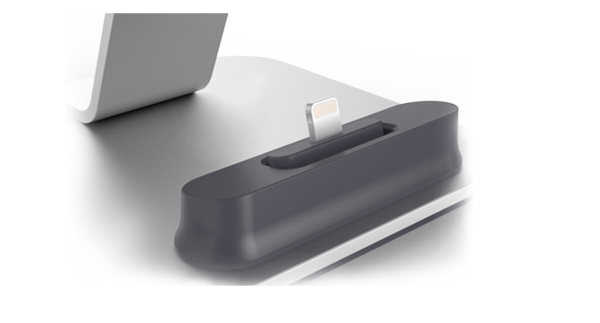 Kanex Thunderbolt adapters won the Macworld Best of Show 2014 award for its ability to help Mac or PC users increase their connectivity options and bridge the gap between old and new technologies. Set-up is easy. 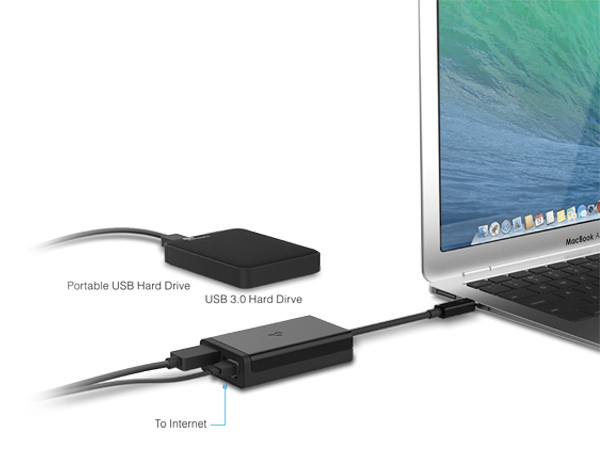 Simply connect an Ethernet cable to the Kanex Thunderbolt adapter, and then plug into the Thunderbolt port of your Mac or PC. Now you’re connected to the network and the Internet! Use the extra USB port to connect extra peripherals. It can even charge and sync your iPhone!